The Amerock BP55347CBZ Revitalize 6-5/16in(160mm) CTC Pull is finished in Caramel Bronze. Function and a revived spirit of renewed traditionalism meet tailored eclecticism in the Revitalize Collection. Amerock's Caramel Bronze finish has a rich dark brown hue with a hint of burgundy and subtle copper undertones. The Candler collection is distinctively elegant, with strong lines and soft curves that blend a touch of femininity with enduring class and timeless character. The classic Satin Nickel finish provides a sleek, lightly brushed, warm grey metallic look. Amerock markets decorative hardware solutions that inspire, coordinate and help express personal style. For the kitchen, bathroom and the rest of the home, with a variety of finishes and designs for all decorating tastes, Amerock is the ultimate, time-tested source for hardware needs. Amerock markets products in four categories: decorative hardware, decorative hooks, bath accessories and functional hardware. 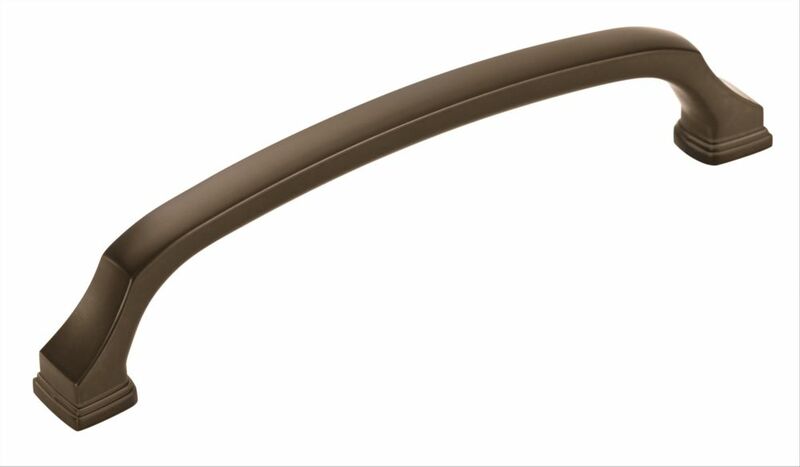 Revitalize 6-5/16 Inch (160mm) CTC Pull - Caramel Bronze The Amerock BP55347CBZ Revitalize 6-5/16in(160mm) CTC Pull is finished in Caramel Bronze. Function and a revived spirit of renewed traditionalism meet tailored eclecticism in the Revitalize Collection. Amerock's Caramel Bronze finish has a rich dark brown hue with a hint of burgundy and subtle copper undertones.